I’ve written before about the magic of embracing followers. After all, can you really be a leader if you have no followers? Does it matter that the coach calls a player “captain” if their teammates roll their eyes every time the “captain” says something? In the quotation above, Pat Summitt gives us a blueprint for teaching our leaders to be credible captains. Consistent. Imagine a captain who didn’t always work hard. Yikes…that’s one bad captain! The burden of being a leader means they have to give full effort every day. Tough day in class? Gotta bring it in practice. Best friend’s mad at them? Still gotta bring it in practice. Having an awful practice? Effort level has to remain high, gotta bring it! Even-tempered. Sport offers its participants a chance to practice moderating oneself. In my opinion, athletes don’t get the chance to pout, complain, or give up. We ask our athletes to embrace failure and not get too caught up in success. That attitude requires a certain leveling off of emotions. Predictable. I coached a young lady long ago who was tremendously talented. She was dynamic and athletic…a rare talent. She was also full of surprises. Sometimes she was the life of the proverbial party. Other times she was withdrawn and sullen. I never could figure her out. Neither could her teammates. This made her a poor leader. Decisive. There have been times in my career where I’ve pulled my captains aside and asked them a point-blank question. It could be something like, “I think both Susie and Janie are about equal, who would you rather play with out there on the court?” At that point, I don’t want any hemming and hawing, I need a decision. Emotionally reliable. Closely related to being a consistent teammate, the emotionally reliable player. I actually looked up this phrase and landed on the Psychology Today webpage. Emotionally reliable folks are able to self-regulate at a high level. “Self-regulation is the ability to calm yourself down when you’re upset and cheer yourself up when you’re down.” That sounds like a great leadership quality, right? They don’t get too high, they don’t get too low. These are all great lessons to teach our team captains as they navigate the murky waters of leading their peers. 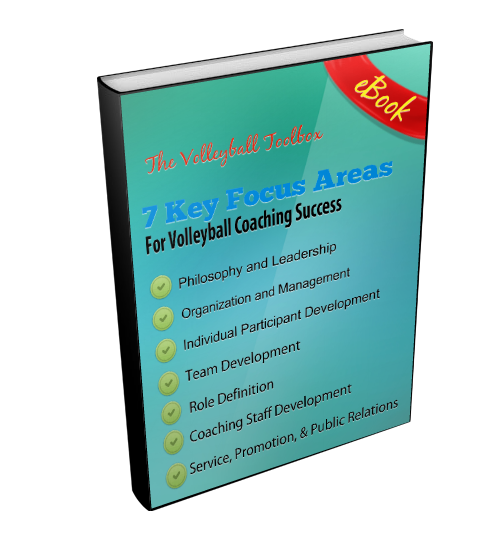 Are you tired of walking into the gym and seeing lackluster effort from your players? 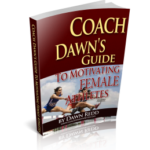 Have you had it with trying to get your female athletes to care about the team as much as you do? ?